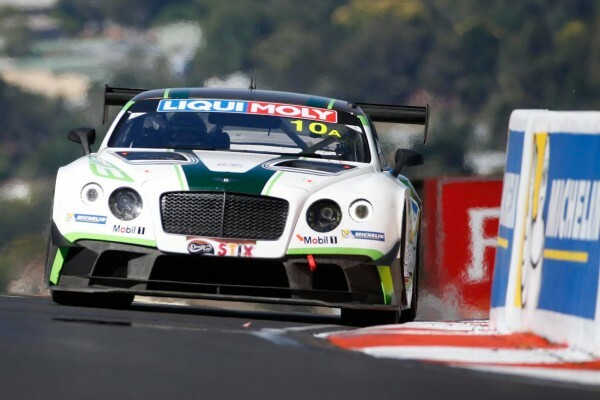 With just 90 minutes remaining the mighty Nissan GT-R leads the 12 Hour Race at Bathurst, but Bentley's Car 10 is shadowing closely from a tight third spot. Can Nissan do it again, and repeat last year's win? There are quite a number of pit stops for fuel and tyres remaining for the front runners, so this year's race will come down to the last 30 minutes, and the leading cars' positions on the road. And ALL the brands are in the mix - Audi, Bentley, Nissan, McLaren, Mercedes-Benz. It's up for grabs! Only 13 Safety Car interventions so far this year (compared to 20 in 2015), but the fat lady hasn't graced the stage yet!